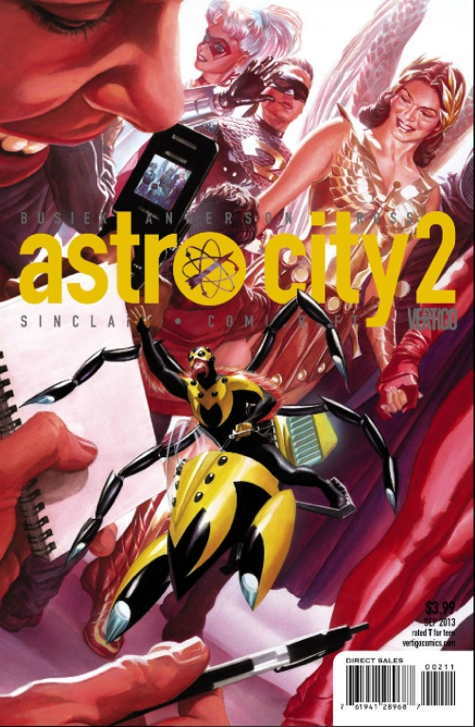 Click the cover image for a 6-page preview of next week’s ASTRO CITY 2, courtesy of our friends at MTV Geek. This entry was posted in Astro City, Previews by Kurt Busiek. Bookmark the permalink. Dear Sir(s) I read Astro City #1 (60) and was really impressed! Also, the Silver Agent Specials #1 and 2. They were really good! BTW, I loved the Kirby Tribute with Tiger 20, and Captain Victory over in Dynamite Comics. That artwork was phenomenal! Astro City is really one of the best comic books on the stands today! Thank you for your time.